Call to Artists for Contemporary Art Program, 2016. 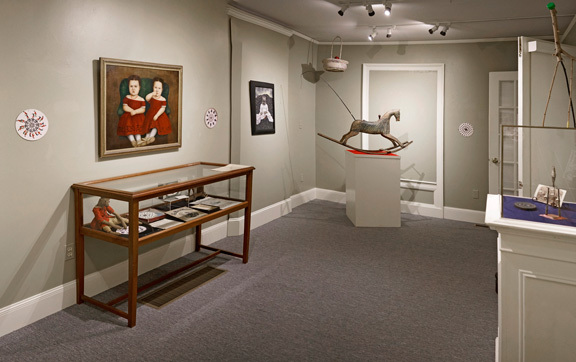 Historic Northampton, in collaboration with The Northampton Center for the Arts and A.P.E., welcomes proposals from artists to exhibit work inspired by objects from the museum’s permanent collection. This successful program is in its third year, marking Historic Northampton as a destination for art and history lovers alike. Submissions may be for solo or group shows/installations; and two and three dimensional work in all mediums will be considered. Shows run approximately one month (beginning September 2016 through June 2016) and opening receptions are held on Northampton's Arts Night Out. Before applying, please consult the museum’s online catalogue of its permanent collection of photographs, documents, manuscripts, fine art, furniture, ceramics, glass, metals, toys, tools, textiles and costumes from the 17th to the 21st centuries. It is also essential that you visit Historic Northampton to view both the designated gallery space and selections from the collection. (The gallery dimensions are 10.5’ x 22.75’ and there is a 5’ wide doorway into the gallery at one end of one of the long walls. Artists whose proposals are accepted will be given access to the entire collection.) Museum hours are Wed.-Sat. 10-4 and Sunday, 12-5. The deadline for all submissions is March 15, 2016. All submissions should be emailed to ArtforHN@gmail.com, or snail mailed or dropped off at Historic Northampton, labeled Attention: Contemporary Art Proposal. Decisions will be made, and artists notified, by April 15, 2016.